Stunning earrings formed from real miniature white rose petals and trimmed with pure 24 karat gold. Studded with 16 radiant synthetic diamonds. 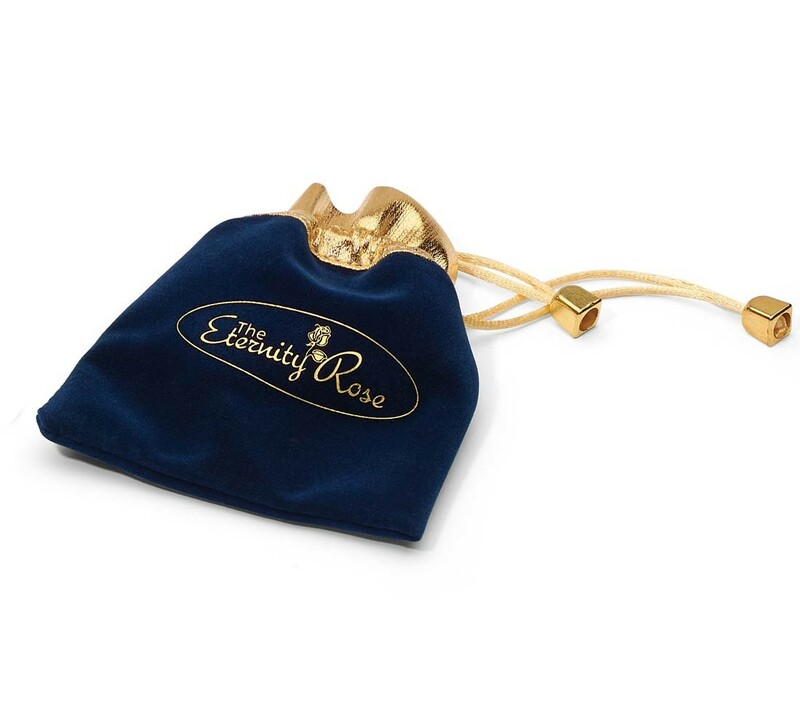 Presented in a sleek velvet pouch featuring a gold-trim & braided draw strings. Intricate detailing protected by a lifetime warranty. 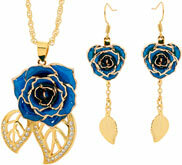 Beautiful jewellery that is sure to take pride of place in her jewellery box. Rapid delivery and dispatch. 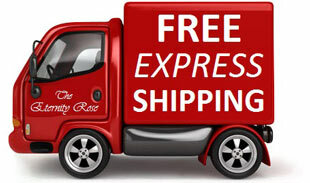 Orders are processed within a few hours and sent by two-day express transport without extra charge. 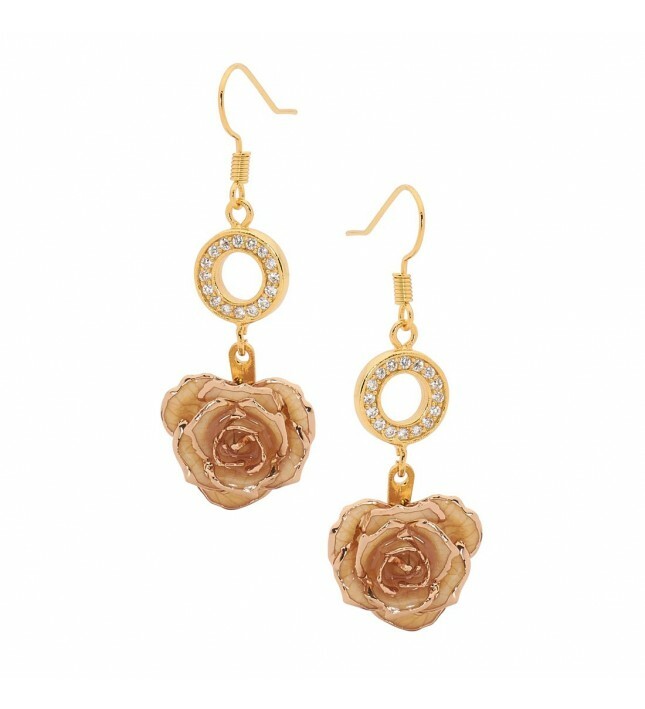 A pair of magnificent drop earrings, formed using white natural miniature rose petals which have been decorated with fine 24 karat gold. Measuring approx. 1 5/8” in length, each earring features a gold ring decorated with 16 radiant synthetic diamonds. 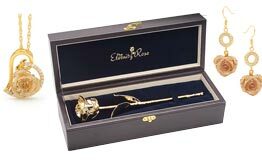 Diameter measurement of the rose head is approx. 5/8”. The earrings are presented in their own stylish navy-blue jewellery pouch made from thick velvet and decorated with braided golden draw strings. 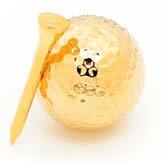 The jewellery features a generous coating of fine 24 karat gold. The craftsmanship used to create each piece is exquisite and requires extraordinary skill. The glazing and gold-trimming process requires more than three months, and no less than 60 steps from start to finish. Every pair of earrings is a unique piece of art, made by hand to the most exacting standards. 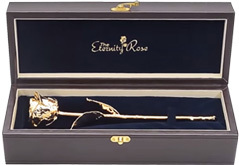 Part of the elegant Eternity Rose collection, the quality of these earrings is absolute and the proof is in the lifetime guarantee supplied with each pair. Every jewellery item has been subjected to rigorous scrutiny and has been found to be produced to the highest standards in Europe. These stunning pieces have won several awards for their quality and design. We have spared no expense in honing and perfecting the quality of these intricately crafted earrings. 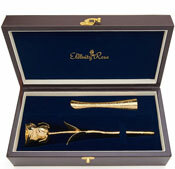 The perfect gift for any lady with an appreciation for the finest jewellery and the natural beauty of roses.